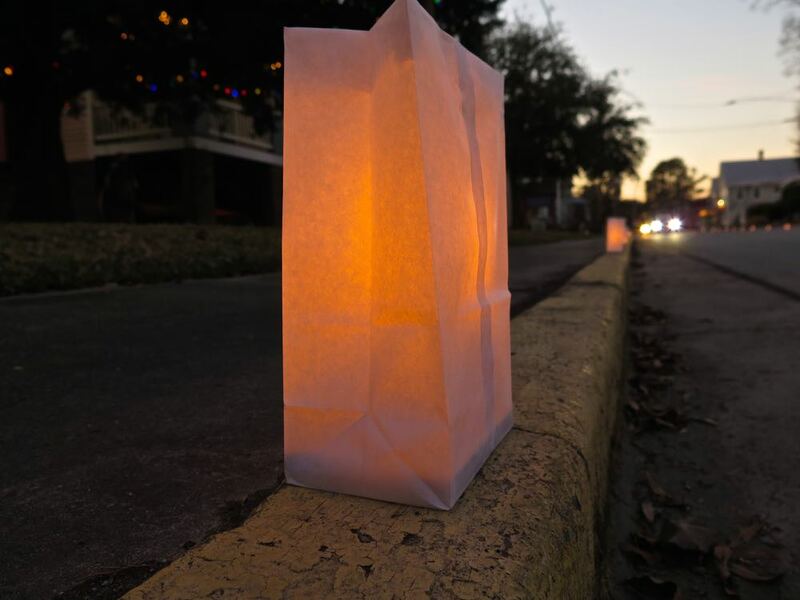 One of the more striking and memorable scenes at the Spirit of Christmas is that of luminaria lining – and lighting – Oriental’s main streets Friday and Saturday nights. Those luminaries are not bought off the shelf. Rather, the pieces – white paper bag, candle, a weight to keep it stable – are assembled by volunteers in the days leading up to the Spirit of Christmas. You can be part of this spirited behind-the-scenes production. Volunteer Form. Friday December 7 at 3:30p – Loading the now-ready-for-prime-time luminaria on trailers at the Fire Station so they can be placed along the streets. Marsha Paplham orchestrates this production of glow. She is always looking for volunteers to help from start to finish, especially if you have a truck or trailer to help with distribution. To help out, give Marsha a call at 249-0334 or 675-5142.